In 2019, KNX will participate at the ISE tradeshow, the world’s largest exhibition for systems integration and AV professionals. Taking place from 5-9 February, ISE 2019 is expecting 1300 exhibitors and 90,000 visitors. 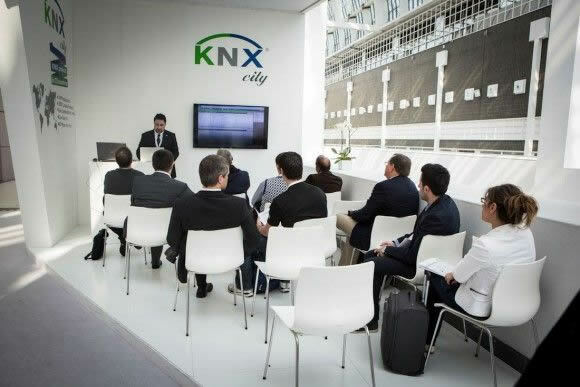 The KNX booth 9-F120 will be located right at the entrance of hall 9. While the booth will be busy receiving visitors from all over the world, there will be a training area for you to get updated with the current KNX solutions. If following the important trends and developing new knowledge about smart home and smart building is important to you, you will enjoy the assorted training on KNX and its most recent solutions, which will be delivered by both KNX Association and its members.